Organizing meeting ahead in White Center for Eat Local Now! Saturday, July 31st, 2010 Posted in How to Help, White Center news | Comments Off on Organizing meeting ahead in White Center for Eat Local Now! 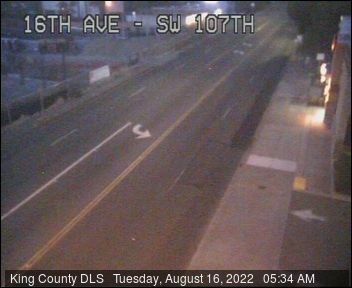 Last year, West Seattle, this year, SODO! The annual Eat Local Now! dinner is coming up September 30th and organizers are casting a wide net for help. They'll be meeting ... Read more.. If you're going to the Seafair Torchlight Parade this Saturday night (it leaves Seattle Center at 7:30 pm, southbound on 4th Avenue to the International District) or planning to watch ... Read more.. So says King County Elections. Two races in this area are true primary contests, with more than two candidates in the running - 34th District State House Position 2 and ... Read more..
Garden updates from Community Harvest: Give help and/or get help! Tuesday, July 27th, 2010 Posted in Community Harvest of Southwest Seattle, Gardening, White Center news | Comments Off on Garden updates from Community Harvest: Give help and/or get help! From Aviva at Community Harvest of Southwest Seattle: Interested in gardening, but lack the space? Come to Drop-in-Garden-Night Thursdays 6:30 PM - dusk, throughout July and August at the St. ... Read more..
By Deanie Schwarz For White Center Now Today till 7 pm, an AARP/ Wellness Tour (American Association of Retired Persons) mobile health-screening van is on site at the Roxbury Walgreens. Tests ... Read more..
WestSide Baby’s HQ gets a big diaper delivery! Sunday, July 25th, 2010 Posted in Full Tilt Ice Cream, How to Help, WestSide Baby, White Center news | Comments Off on WestSide Baby’s HQ gets a big diaper delivery! A big volunteer effort this afternoon unloaded hundreds of packages of diapers into storage for WestSide Baby in White Center, after the first successful installment of the "Stuff the Bus" ... Read more..
White Center-based WestSide Baby needs you - tomorrow, while the first leg of its two-prong Stuff the Bus diaper drive is under way at the West Seattle Farmers' Market 10 ... Read more..
6:12 PM: More than 20 people at tonight's White Center-South Delridge Community Safety Coalition meeting at the DSHS building in WC - including special guest Aileen Balahadia, executive director of ... Read more..
(Video and photos by Cliff DesPeaux) For White Center Now and partner site West Seattle Blog, photojournalist Cliff DesPeaux covered today's "Got Green?" "green jobs"-program media event at SW 100th and ... Read more.. This Thursday night at 6, when the White Center-South Delridge Community Safety Coalition meets at the DSHS building in WC, White Center Community Development Association executive director Aileen Balahadia is ... Read more..
King County Councilmembers say it's in the hands of voters now - approve a two-tenths of one percent sales-tax increase in November (that's two cents for every $10 spent) or ... Read more..
Video, photos: White Center Jubilee Days Parade 2010! A bit chilly - but spirited all the same - as the White Center Jubilee Days 2010 parade rolled on down the boulevard. Or trotted. Many of the horseback entries ... Read more..
White Center Jubilee Days update: Saturday street-fair scenes! Saturday, July 17th, 2010 Posted in Fun, White Center Jubilee Days, White Center news | Comments Off on White Center Jubilee Days update: Saturday street-fair scenes! Sure, the White Center Jubilee Days street fair is a place for fun. But it's also a great place to meet the neighbors who keep your community running, often from ... Read more..
Find the schedule online in the sidebar here - vendors are scheduled to open at 10 today, the beer garden at 11. The parade, by the way, is tomorrow, 10 ... Read more.. So says King County - they've got some work to do. Here are the details. Read more..
Lions - TIGERS! - anybody seen bears? Just one scene from opening night at the White Center Jubilee Days Carnival at Steve Cox Memorial Park. The carnival's open 5 pm-midnight ... Read more..
We're at the 34th District Democrats' monthly meeting in West Seattle's Fauntleroy neighborhood, on behalf of White Center Now and partner site West Seattle Blog, and Burien City Councilmember Brian ... Read more..
No forest/yard burning as of tomorrow morning, per this notice just in from King County: In concert with the Washington State Department of Natural Resources and Pierce, Mason and Snohomish Counties, ... Read more..
Not set up yet, but tonight, the rides have arrived at Steve Cox Memorial Park ... and tomorrow night, the carnival opens, as White Center Jubilee Days festivities near. Tomorrow ... Read more..